The struggle many people have is staying motivated to save money. It’s easy to think that saving an extra $2o or $30 per month won’t matter, and before you know it, you don’t have the funds you need to do something you want. If you need motivation to save more money, or simply don’t know how to save money on a monthly basis, know that it can be done. In fact, you can save money easily with very little effort. When you save money each month you help yourself financially. It allows you to accomplish many goals. When you combine it with making extra money, you instantly multiply your progress. Not each option on the below list will apply to everyone – and that’s fine. However, it’s completely possible to take a small handful of the options here and save hundreds, if not thousands, of dollars this year alone. If you’re looking for the best ways to save money every month, combine some of the below tips to put your savings game on the fast track. One of the best ways to save money every month is through the 52-week challenge. If you’ve not heard of the 52-week challenge, it’s simple. You start out week 1 by saving $1. Week 2 you save $2, week 3 you save $3 and so on. The plan is to add one extra dollar per week until you put away $52 the final week of the year. This alone will allow you to save $1,378 per year. Even if you don’t start at the beginning of the year you can harness a lot of power by making stashing money away in savings a regular habit. Make it easy on yourself and automate the transfer so you don’t even feel it. You can do that with Synchrony Bank as they pay 2.25 percent on your cash (24x the national average). You can open an account with no minimum balance and earn a little something extra on your spare cash. Cutting cable is the easiest way to save money every month. I’ve written about how we canceled DirecTV (here are ways to cancel DirecTV if you’re under contract) and are now saving almost $90 per month. The average cable bill is over $110 per month. There is no reason to spend this much to get television content as there are so many cheaper options available. We use our Amazon Fire TV Stick and Netflix to get the shows we want. Check out the Amazon Fire TV Stick channels list to see what kind of content you can expect with the dongle. There are many other options from Hulu with Live TV to getting a digital antenna, that it just makes no sense to have a cable bill. If you don’t know how to watch ESPN without cable, have no fear. Most of the streaming providers make it possible without a nasty contract. Losing sports was what held us back from cutting the cord. It’s relatively simple to replace it with a streaming service. Should you keep your gym membership if you want to lose weight? In a word – NO! According to Statistic Brain, $40 per month is wasted on the cost of the average gym membership. Start earning more on your savings right now with CIT Bank. They pay 2.45% interest on your balance when you commit to depositing at least $100 per month into your savings account via ACH. Plus, they charge no fees, which helps you save more money faster. Enjoy quick and easy access to your money, which is FDIC insured up to $250K. Start saving today with as little as $100 per month! You can lose weight without paying to join a high-priced gym. I lost 100 pounds on Nutrisystem and didn’t step foot in a gym. I walked and used free videos on YouTube. I’m proof it can be done without paying a lot of money to exercise. Like cutting the cord, this is another one of the best ways to save money each month. The average cell phone bill for Verizon and AT&T is almost $150. There is no need to spend that much every month. We switched to a cheap cell phone plan and now save over $100 per month. You can get a plan with Tello for as low as $5 per month. You can customize your plan based on your specific needs and situation. I almost can’t believe this number, but the average person spends $190 per month (assuming a pack a day habit) on cigarettes. I’ve never been a smoker, but I just don’t see the appeal. Not only is cutting smoking one of the best ways save money every month, but it will also help you save significant money in the long-term on medical bills by improving your health. That’s a win-win. I hate food waste as it’s literally throwing money in the trash, but we all do it. The average 4-person family has $1,500 in food waste each year, according to Save the Food. Cutting back on food waste equates to an automatic raise. The easiest way we’ve found to combat this is to have a meal plan. It’s not a stringent plan, but it has helped us find a way to cut down on waste and save money. If a meal plan sounds overwhelming or not exciting, check out $5 Meal Plan. You get a free 14-day trial and they help you get started forming meal plans that will save time and money, plus give you meal ideas. According to The Water Project, the average person spends $100 per year on bottled water. Now I know in some towns the tap water isn’t really that good, so this may not apply to everyone, but there’s no need to spend that on bottled water. If you like to drink purified water, you can buy a water filter to get the same basic thing. You can even buy a Nalgene water bottle to take with you when you travel as you’ll recoup the savings relatively quickly. I know many people don’t feel comfortable negotiating. When you don’t negotiate, you overlook ways to save money. This can range from car insurance to Internet service to utilities. If you’re telling yourself “I need money today,” negotiation is the best way to put money back into your budget. We regularly call providers to see what discounts might be available and easily save $250-$500 per year as a result. Don’t know where to start? Just call each provider and eliminate any unnecessary charges. If you don’t want to do the work yourself, Trim, which is a free to use app, will negotiate bills for you and let you bank the savings. Yes, a credit card can help you save money every month…if you use it right. If you’re in debt or struggle with spending, you should not get a credit card. In that case, you should focus on other ways to save money every month. However, if neither is an issue for you, then you can save money with a credit card by taking advantage of sign-on bonuses or cash back – you can find many of those cards here. We personally financed over $15,000 in travel last year this way. Total savings = $500 – $1,000 per year. We enjoy eating out, but we rarely do it as it’s expensive. The average family spends $225 per month eating out. Cutting this is one of the simplest ways to save money each month. I believe this number is low, however. Remember my friend who admitted to spending $30,000 in one year eating out? That is an extreme, but the point remains – you can spend a lot of money eating out. That doesn’t mean you have to stay home to eat rice and beans but try by cutting it in half. You still get to eat out, but you save money. We haven’t put our children in organized sports as we don’t want to overschedule them. The other reason is they’re expensive. A majority of families, more than 60 percent, spend anywhere from $100 – $499 per child per month on youth sports. Nearly 20 percent spend $1,000 per month, according to USA Today. There are many ways to save on extracurricular activities for kids, including sports. As with the eating out above, you can even cut the sports in half and still save serious money. I’ve cut my own hair for close to 20 years. My wife has gone to the local beauty school for over 10 years as a means to save money on haircuts. I know it may seem impossible to cut your own hair. It really isn’t that difficult. You can buy a haircut kit from Wahl, and you’ll be good to go. 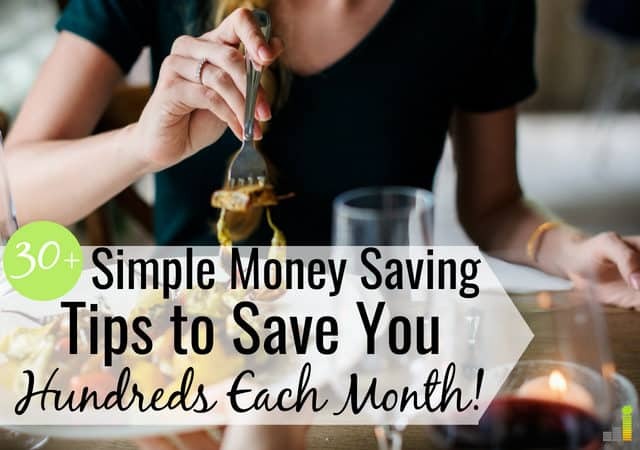 There are countless ways to save money every month, so no list is going to be exhaustive. That being said, here’s a list of the best ways to save money each month. If you have more ideas, I’ll happily add them to the list. Save your spare change in a change jar – include $1 and/or $5 bills as well. You can do the same thing digitally with CIT Bank – as they have a $100 minimum balance requirement and you can earn 1.85 percent if you choose a money market. If you automate it, then it’s done for you without any effort on your part. Avoid out of network ATM fees. The average out of network ATM charges nearly $5 per transaction, according to CNBC. It doesn’t make sense to pay money to access your money. Start a garden and can or freeze the produce. Get free Amazon gift cards by taking surveys with Pinecone Research. If you regularly buy items from Amazon free gift cards can be a great way to save money. Pinecone Research lets you redeem for cash, Amazon gift cards, and more. Taking surveys won’t make you rich, but they can be a great way to monetize your free time by helping you save money. Take Uber as opposed to a taxi. In most instances, one or both can be the cheaper option. Ditch the whole life or permanent life insurance. You can save significant money by switching to term life coverage. If you don’t know where to start, try PolicyGenius to find the best options available. Don’t play the lottery. The average person spends $25 per month on the lottery. Refinance your house to get a lower interest rate. Compare rates at LendingTree to get the best possible rate. Consolidate your debt through Avant or LightStream, to reduce the monthly interest you’re paying. If it’s credit card debt you have, get a balance transfer credit card to lower your rate to 0 percent and kill the debt. Bring snacks to work so you’re not tempted to go to the vending machine. Find cheaper auto insurance. Nearly 40 percent of drivers haven’t compared rates in three years. If that’s you then you might be leaving hundreds of dollars on the table each year. Compare rates at Esurance to see how much you might be able to save. Save money when you buy with a rebate app like Ibotta. Ibotta works at over 300 retailers, not to mention your local grocery store, and you can redeem funds once you hit a $20 balance. BerryCart and Shopkick are other great apps that let you save money at the store. Check out our guide on the other best cash back shopping apps to find a good option for you. Consolidate or refinance your student loans. Not only does this make repayment simpler as you have only one monthly payment to manage, but it also lets you pay them off quicker through the reduced rate. Check rates at Credible to see how much money you can save on student loan payments. Buy used when you can, especially clothes. Find the best consignment shops around you and shop at them to save money. Break out of the bundle pricing offered by cable companies. Here’s how to get Internet without cable and save more money each month. Use your unused gift cards. $1 billion in gift cards go unused each year, according to Marketwatch. You can use them to buy something you need, sell them or use them to buy a gift for someone. If you like to use gift cards, you can buy used gift cards at CardPool at a discount. Get rid of unused memberships or subscriptions with Trim. Trim is a free to use app that analyzes and find subscriptions you don’t use and cancels them to save you money. Buy a programmable thermostat to save on energy bills. We work from home so don’t have much need for this. Assuming that’s not the case for you, this lets you save money every month on your energy bills. Negotiate doctor’s bills. We ask every time we go to the doctor or dentist. We commonly get a reduced rate by offering to pay up front. The last, a classic, go to the library. The library offers many ways to save money every month from books and movies to a lot more. There are many ways to save money every month; you just have to put some into action. Like I said in the beginning, you won’t be able to do all of them, but even a few of them will help you save several hundred dollars per month – that’s life-changing kind of money. What are some of your favorite ways to save money every month? What’s one thing you won’t do to save money? Do you like to negotiate pricing? In our case we cut back on eating out and learned how to cook healthy, delicious food at home. We also learned to replicate our favorites from restaurants. Now we save eating out for the weekends. Last year we also sold a paid off second car to CarMax and got an even $3,000 for it. Yea! Cutting down on eating out is a big one! It can be really easy to justify eating out when you’re busy but we try and prepare meals before hand to try and mitigate against it. I have a post like this and it does amazing! I think readers will love it. Sometimes you just need a new idea to spark some creativity. Exactly Natalie! So often it just takes a few action steps to get momentum started. We use lots of these tips and the money savings really do add up. We’re on a huge kick this year to cut eating out drastically. We didn’t do it that much anyway, but we’re cutting even more because the money savings are so huge. I know, right Laurie? It gets even bigger when you have a large family – a basic dinner out can cost an arm and a leg. I know – talk about literally seeing your money go up in smoke. Yea, I hear ya – it does get a little easier to justify it. We just budget for it so we know we’re staying within what we want to spend. Great post! 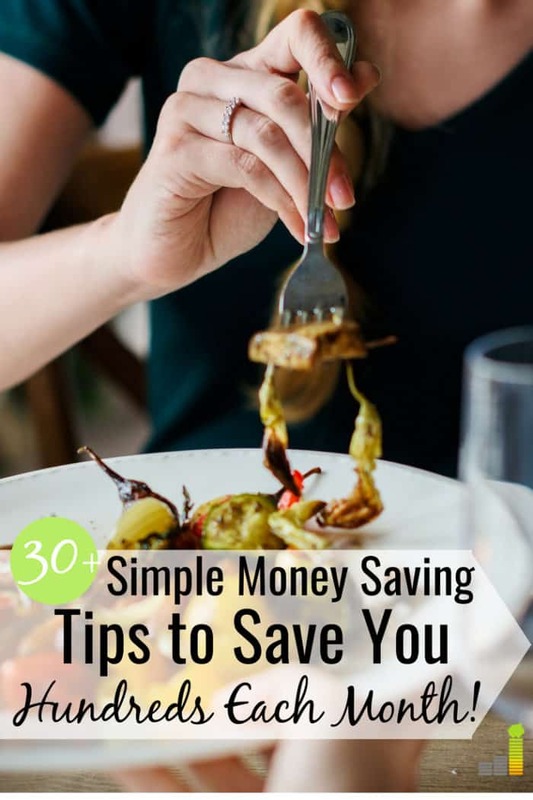 There are so many great ways to save money. Great tips John! I think people forget you can still negotiate a lot of things like your bills. I even did it with rent once. Exactly! If you’re nice about it you can negotiate a lot of things. Ha ha, sounds like a good incentive to me. I’m trying the 52-week challenge. I don’t think we can manage it throughout the year — we’ve got a couple other draws. But I want to see how far we can make it without feeling the pinch. Cable’s already cut, no gym membership, no cell phone. So I guess we’re doing okay on some of these goals. That’s awesome you’re doing the 52 week challenge. Even if you don’t make it the whole year I think it’s a great challenge to try. Yep, sounds like y’all are doing good. There are so many ways to save that even if you can’t or don’t want to do all of them, you can always find a few things to make your bottom line better. Exactly Kim – even a few things will get you started in the right direction. Great list, John! I love these long lists of how to save money because even if you do just a handful you can increase your monthly cash flow. Thanks DC. Yep, you can pick out a few things and instantly start saving something. I write a book of household accounts (Libre Office Calc) and added up the expenses for sweets/chips/… for the last october, november, december. O.k. there was halloween, but: It was 300 Euros. Now I’m on a diet. It was shocking to see how much money I spend for food that isn’t necessary and only harms my body. I didn’t add up the alcohol, wasn’t that much, but I cancelled this, too. Tracking what’s spent can definitely be an eye opener. We ditched cable 3 1/2 years ago, Internet only and installed an antenna on roof. 24 local channels in high quality picture FREE! No bottled water, have a couple insulated Klean kanteens that I take coffee to work versus stop at donut shop and also fill with water faucet. Double savings. Bought an exercise video and use kettlebell weights versus gym membership, also free walks. Home haircuts, my husband cuts mine every other month and the two children monthly. Between haircuts, tip and transportation costs, it saves me over $1000 a year. 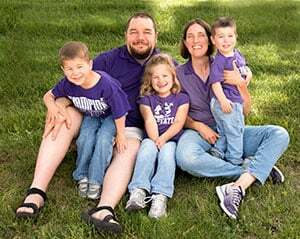 My husband feels that a Woman’s hair is much easier to cut, but watched a few videos before doing the boys, there haircuts are more difficult to do as there is not as much to work with. Less forgiving if you make a mistake. Get my hair colored at home with henna, saves me over another $1000 over what they would charge at salon and he gives a great haircut, better than the salon and he does a very nice job with my color. Regular salons screwed up my hair, I wouldn’t think of letting a trainee touch mine, they always cut it too short. I do my own mani & pedicures as well. Did a garden last year, kale was the best producer, healthy greens for ten months, tomatoes, herbs and garlic were tasty fresh from garden as well. Get boys clothes at goodwill store, they out grow pants and coats so fast, can get some that are like new for only a couple dollars each. We do donate outgrown clothes to help keep the cycle going. Use credit card with cash back, and then pay it off in full each month. Did children’s birthday parties at home. Made pizza, and cakes, grilled hot dogs for picnic. No bouncy house or catered affair, just a few friends, great time @ a low cost. He changes oil, fluids and spark plugs in cars. Sharpens mower blades, scissors and knives at home. Tools work best when they are maintained. Most home repairs of plumbing, electric, carpentry, flooring are DIY, saves even more. I’m am not a fan of negotiating. I know it works, and is a good idea to save money, but I just hate confrontation, and hate to beg people down. I wish I didn’t feel that way because I know I could save some money doing it. You need to not think of it as begging, you are offering to give them your business, if they will give you a fair deal, you are not begging. You are giving them a second chance to not be fired. That is what my husband did, never raised his voice, just told them the current rate was too high and we were firing them as they were charging too much and we could get the same service at a much lower rate, and we were offering them the opportunity to keep our business, that’s all. You’re not begging, you’re NEGOTATING! I do this all of the time. Business want dollars and YOU are the consumer. They need you more then you need them. They want money and so do you. You decide. Cable. I purchased a Roku stick, basic monthly Hulu ($9) and basic Netflix ($9) and an HD antennae that gets all local channels crystal clear for free. After the one time purchase of the stick and antennae ($85+-), my TV bill is $60 mthly and that includes the high speed internet needed to stream from Hulu and Netflix. Basic cable in my area was $150 monthly. Savings of $90 for me. Cell Plans. I ended my contract and bought a basic flip phone for calling and texting. $30 mthly. With a home computer and iPad, don’t need a smartphone on top of that. Not one of those people who has to be plugged in to technology 24/7. My cell phone plan was $150 per month. Saving of $120 for me. Credit Cards. This one takes discipline. I have 3 cash back cards and use them to pay all my monthly bills (mortgage, utilities, car insurance, food, etc.) I pay them off each month completely according to my cash only budget mindset. The award points / money / giftcards are a really nice perk that I use for Christmas each year, and had $900 last year accumulated. I think that mindset is the most important factor of living within one’s means. Stay away from advertising and the must haves that get so many people in financially devastating places. Live small. Live free from burdens and worries. Most importantly, learn to control your money. Don’t let money control you. Instead of turning on our big screen t.v. we watch Netflix on our (given to us) smartphones. We stopped using the back porch light, and leaving the kitchen light on by using solar lights. We hang out our clothes on a line. Unplug everything, and sometimes leave it unplugged even when we are home. All those little things add up. Agreed, it all adds up! I am doing many of your suggestions. Another one is that people can make extra money by getting an extra paycheck 4 times a year if they get paid weekly and 2 times a year if they get paid biweekly. They can use that money for a special sinking fund or savings account. Great point Steven, I often did the same in my old day job. These were all such great ideas! There are so many ways to cut costs and save money but you have to be creative! Completely agreed. Some are very easy, while others require some creative thinking. 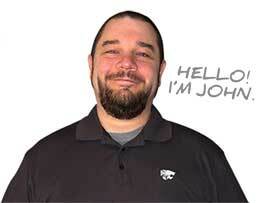 Hi John – love your blog and wondered have any of you heard of KODI? It is a free alternative to Netflix. My husband has set up our computer with it and we can now caste TV shows and movies directly to our screen. The system trolls for the downloads you request (TV shows, movies old and new, even movies currently in theatre; although you tend to get “purse shot” copies for those, but once in awhile we find a good film copy that might have been released in another Country with subtitles in another language, but you put up with that to save theatre costs. This is still legal in Canada as there are no advertising or membership fees related to this. I’m thinking of dropping Netflix now! Thanks Nancy, happy to be of help. 🙂 I have heard of KODI but unfortunately it’s software that lets you steal content so I wouldn’t be interested in it. I’m not sure where you got your number for smoking cost. The average I have found and know of is $45 per week – not month – (my husband alone spends $48 to 50 per week and I have tried everything to help/get him to quit, it is not that easy at all because patch/pills don’t work for him). That is an average of a pack a day which can range from 5 to 8 dollars. Just click on the link I used to reference the stat and you’ll see. 🙂 It’s important to remember that it’s an average. I’ve modified the 52 week challenge a little so it doesn’t get too extreme by the end of the year. I label all the weeks with their amounts and then I combine a high week amount with a low week amount and move that 2 week amount into savings. If I have extra money one month I’ll save extra weeks amounts and cross them off the calendar. Less truly is more in this life. How much stuff do any of us really need before we realize, that happiness is introspective. Be brave. Be bold. Be different…, it truly is liberating & refreshing to see people take control of their own lives and define success on terms that are right for themselves. Embrace your distinction. It’s empowering when you do. I love it Donna! Very well said. Finding at least one person to share the daily commute with and alternate cars drastically reduces fuel bills and wear and tear. Another benefit is off-loading stress by talking it through with someone when there are no distractions and nowhere else to go. My car sharer has said he arrives home relaxed having unburdened himself of workplace woes. Great point Mark, completely agreed! Ditched the Cable tv, got Amazon FireStick & indoor/outdoor antenna. Saved 90.00 immediately. Working on my 5th 52 week savings experiment, trust me it works and easy to do. Unplugged all unnecessary things in the house, even turn off hot water heater when not needed. That in itself saves me 15.00-20.00 a month. Use the low dryer setting to go along with the high efficiency washer (uses much less water). Keeping the thermostat set low in the winter helps as well. All great ways to save. Awesome work Paul! Just further proof it doesn’t take that much work to save some money around the house. Enjoyed this post, and the comments were inspiring too. I teach high school, and I am thinking of including this link as “required reading” for a section I am teaching on “Real Life after High school.” Thank you. I just have to tell you how much I appreciate your site! I recently went through a divorce after 25 years of marriage which ended up forcing me into bankruptcy, on TOP of losing that second income. It was EXTREMELY painful given I have always prided myself on paying my bills on time and having a credit score in the 700’s. BUT rather than beat myself up, I have decided to look at it as a fresh start on life, and part of that is getting a firm hold on my finances, building up a savings and investments towards retirement. Luckily, frugal is something I’ve always been, but I know there are always new ways or things I’ve never thought of. Thanks to your site, I “cut the cord” with DirecTV today! I already had a PS4 plus a Roku in my bedroom, so it was very easy to make the switch to Playstation Vue. Even with their most expensive package, Netflix and Hulu, I’m still saving nearly $150 a month!! WOWZA! If a store you shop at has a discount card or an app that offers coupons/discounts (Target Cartwheel is a good example) – GET IT – it’s free! I use one at my Ralph’s grocery store (Kroger is part of the same chain). Here are some ways I get amazing deals! **See a great price on something with your store discount card? Maybe you can get it even cheaper! Check the store’s app to see if there are additional discounts using their digital coupons. You can also combine with manufacturer’s coupons for even bigger savings. Using this method, I have even gotten items for free! **Many grocery stores will mail you coupons based on the purchases you make with your store card. Ralph’s mails me coupons at least a couple of times per month, sometimes for free items I buy often. I hold onto these coupons until the item has a great sale. You can combine these coupons with store sales, digital AND manufacturer coupons to get items for pennies – sometimes free! **My Ralph’s app has a “free Friday download” every week. Check your store’s Facebook page, website or app to see if they do something similar. For Ralph’s, the download to your store card must occur on that Friday, but you have up to two weeks to claim the freebie (I have gotten everything from rice to protein bars to juice. I often use these freebies in conjunction with other sale items when planning meals). **Check to see if your store has a clearance rack where I routinely find items up to 90% off. I normally find them in the back of the store, but if you aren’t sure, ask a manager. This is also a good place to use coupons! YES, most stores will allow coupons (digital or otherwise) on an item even if it’s marked down significantly. Also check the produce, meat and bakery departments for mark-down items. Also watch as you go down the aisles for clearance stickers on the sleves. I recently found cat food that usually sells for $12 a bag marked own to $2.37 because they were discontinuing the flavor – AND I had a $.50 off coupon! **If someone in front of me in line says they don’t have a store card, I offer to let them use mine. They get a discount, but in return, I get more dollars in purchases applied to MY card. Ralph’s offers a discount on gas (from $.20 to $1.00!) at Shell stations based on the total of your purchases. Why not let someone else’s groceries get you there faster while also saving them money? I hope these tips might help someone else who perhaps is in the same boat I’m in. Living frugal is definitely something that should be shared, so THANKS once again, John, for offering this great site! Thanks so much for the kind words Rene. Sorry to hear about that. Having gone through divorce myself (my parents got divorced when I was 15), I know it can be a challenge…to put it very lightly. That said, it sounds like you have a great attitude – which is what so much of it comes down to. Great work on cutting the cord, you’ll love the savings. 🙂 Thanks as well for sharing your saving ideas – just proof there’s many ways to save!